June 17, 2016 – Boston, MA – The Environmental Business Council of New England (EBC) is pleased to announce the election of Francis J. Hoey, Senior Vice President of Tighe & Bond, as the Vice Chair of Membership, Executive Committee, EBC Board of Directors. 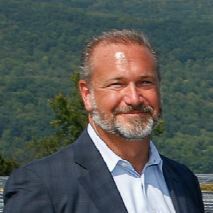 A board member since 2013, Mr. Hoey has also been active on the EBC Energy Resources Committee, EBC Connecticut Chapter, and the EBC EBEE Awards Committee. Mr. Hoey is Tighe & Bond’s Business Unit Leader directing the firm’s efforts in the Renewable Energy, Education, Healthcare, and Real Estate markets. He has served in a lead design and management role for many of the firm’s largest and most complex development projects. Mr. Hoey has nearly two decades of experience on the Board of a large municipal electric company with electric generation, distribution, and transmission facilities – as well as natural gas distribution, state-of-the-art LNG vaporization, and advanced fiber optic network. He currently serves as Chairman. He was recognized by the Boston Society of Civil Engineers for his public service efforts focusing on hydroelectric, gas, electric, and energy issues with the Lester Gaynor Award. He was invited by former Secretary Sullivan to serve on the Massachusetts Environmental Policy Act Adaptation Advisory Committee, which advised the Executive Office of Energy and Environmental Affairs on how to address the potential impacts of climate change. Mr. Hoey holds professional registrations in two disciplines, civil and structural. He earned his bachelor of science in civil engineering from Worcester Polytechnic Institute; is a Leadership in Energy and Environmental Design Accredited Professional (LEED AP); and holds professional registrations in Massachusetts, Connecticut, Vermont, and New York. Mr. Hoey was voted in as Vice Chair of Membership on the EBC Board of Directors at the EBC’s 26th Annual Meeting on June 16, 2016. He will serve a two year term.